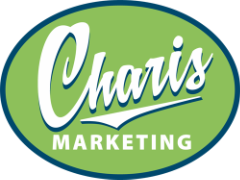 CHARIS MARKETING is dedicated to providing organizations like retreats centers, camps, churches, and independent ministries with professional graphic design and premium printing services at the lowest possible prices. We have low overhead, buy printing wholesale, and pass the savings on to you and your organization. Our website has the design and printing products you need most like brochures, newsletters, posters, and postcards. If you don’t see something you need, call us or email us for a free quotation on custom projects. We offer personal service and strive for excellence.